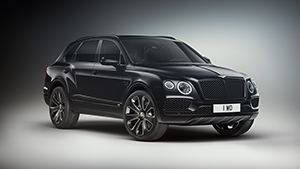 A new contrast accent design line colour split is introduced to the Bentayga range for the first time on the Design Series. It features a vivid, high contrast colour in the front of the cabin, focussed around the console and dashboard lower accent areas. Uniquely, the Design Series is presented with Duotone seat centre perforations both front and rear.